When Brooklynite writer Rosecrans Baldwin had the opportunity to work at an advertising firm in Paris, he leaped at the opportunity. Growing up in suburban Connecticut, Baldwin was drawn to the sophistication of French culture, and a childhood vacation in Paris fostered his life-long dream of living in the City of Light. But upon moving to Paris with his wife in 2007, Baldwin discovered that the reality of the city didn’t match up with his French fantasies. 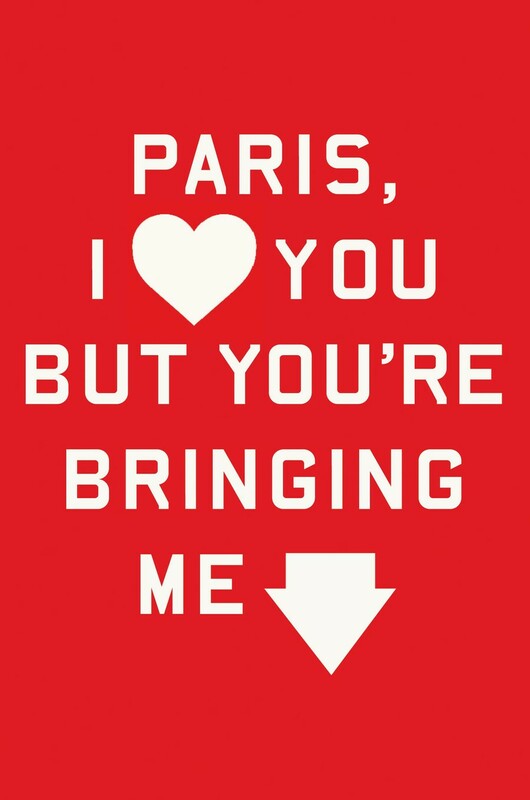 Such a realization inspired his latest book, Paris, I Love You but You’re Bringing Me Down. Baldwin is initially disappointed to find that the majority of the French people he encounters don’t meet his expectations of sophistication; his co-workers love grabbing McDonald’s for lunch, Parisians walk the streets in full-on cowboy attire, and every seemingly charming bistro turns out to be a greasy joint owned by Brits and Australians. Baldwin also observes minority tensions and sexism that seem to contradict the French values of egalité. Clearly the Paris of Audrey Hepburn movies and Serge Gainsbourg no longer exists. Baldwin also spends a good deal of his stay in Paris perplexed by French customs, partly because his French language skills are not up to par, but also because French culture appears to be embedded with many elusive nuances. Baldwin can never grasp the implicit knowledge of when to kiss or not kiss people on the cheek, nor can he understand exactly where his co-workers draw the line in the sexually explicit phrases they incorporate into normal conversation. He and his wife experience the nightmare of navigating the French bureaucracy when his wife is required to submit an application, two photographs, a photocopy of her passport, a photocopy of a recent bill, a photocopy of their apartment’s lease, a photocopy of their residency application, and a notarized documentation of internationally covered health insurance—all just to get a gym membership. Overtime, however, Baldwin begins to appreciate the quirks of the French, ranging from their near-obsession for Nespresso coffee to their tendency to go on strikes. They are argumentative, contradictory, and somehow manage to loathe President Sarkozy and adore his relationship with Carla Bruni at the same time. On the eve of his return to the United States, Baldwin finally realizes that even if a lot of the city has turned into a tourist trap, what keeps the real Paris alive is the offbeat nature of the Parisians themselves. Presumably it’s a story about aliens. Or maybe God. Or visions and insanity. 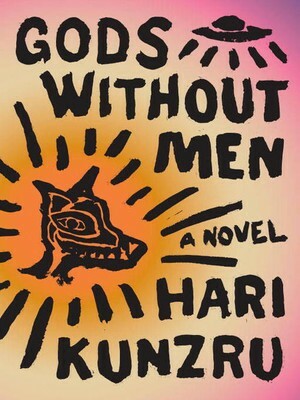 The only thing that’s really stable in Hari Kunzru’s latest novel, Gods Without Men, is its setting in the Mojave Desert. Other than that, everything in the novel is in flux as time ranges from the 18th century to the early 2000s and the story fluctuates between an erratic cast of characters, including a British rockstar and a Spanish missionary. The novel opens up with what looks like a folktale: a mythic Native American-type figure, Coyote, tries to make pure crystal with pseudoephedrine, dies, and then revives. The real story soon follows; at first it seems like it’s going to be about a WWII veteran who opens a diner in the desert and looks for UFOs. But then the plot jumps a couple of decades later to a British rockstar who hates L.A., and America in general, and who goes into the desert for some peace and quiet. He ends up at a dinky little motel when the autistic child of a couple he meets there suddenly disappears. The couple, a Jewish woman named Lisa and an Indian immigrant, Jas, who’d married Lisa against his family’s traditional values, were already struggling with their child, whose birth had strained their marriage to the point of breaking. Then the novel skips back in time to the founding of a cult that spreads universal messages of love and hate and communes telepathically with glorious beings trying to save Earth from two thousand miles up from the atmosphere. In some tiny way or another, these characters’ stories relate to each other’s. And the desert unites them all. Kunzru displays an ability to write in many different styles, effortlessly giving each separate storyline its own distinct narrator and voice. Each storyline has some common and relatable elements of modern-day America: racism, cultural barriers and clashes, misunderstandings in human relationships. While Lisa and Jaz take up a bulk of the plot, even the characters who make only minimal appearances bring a voice to the clamor that is Gods Without Men. Take the anthropologist, Deighton, for instance, who, by studying the tribes of the Mojave Desert, alienates his wife and ultimately causes her to abandon him for a native, or Goth girl Laila, who escaped Iraq and sought refuge in San Diego by listening to non-mainstream music—like the British rockstar of the Mojave Desert. Though distinctly individual, their attempts at assimilation and their conflicts with foreign cultures are evocative of the cultural confusion America has always undergone. Have you settled into your South Side routines as the year draws to its conclusion? Are you weary from this quarter’s battles, be they academic, emotional, or physical (O jousters on the Midway, read on!)? Has Chicago come to feel like your home, or do you still yearn for a taste of your old stomping grounds as summer draws near? How has the notion of home changed, and why should we care? If any of these questions interest or apply to you, Toni Morrison’s new novel Home will quietly engage you for a June afternoon or two. Home tracks Korean War veteran Frank Money and his sister, Ycidra (Cee) Money, as they make their way back to their hometown in Georgia. The book opens as Frank, a PTSD patient, flees from the mental hospital and begins his journey back to the South. Frank’s course of action is sometimes dynamic and human, like when he searches Cee’s purse before rescuing her from her doctor-employer’s house after Cee has been the victim of vague, cruel experiments. Other times, though, Frank simply lacks the spark and playfulness with which Morrison imbued her characters in early works like Sula and The Bluest Eye. Frank’s flatness could be reflective of his war-driven exhaustion, but he comes across as archetypal and not fully fleshed out. Cee, meanwhile, having been abandoned by her husband, goes to work for a doctor who ends up subjecting her to medical experimentation. The doctor’s meddlings leave Cee half-dead, the state she’s in when Frank comes to save her about halfway through the brief novel. Though Cee, like Frank, is an archetype, she’s a whole person, not a broken one, and she shows undeniable growth, which makes her easy to root for. 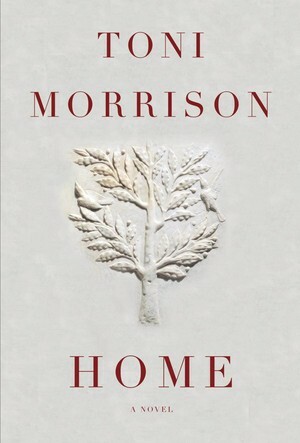 Morrison’s breadth of knowledge of how to write for and about women shines in Cee and in her descriptions of the women who nurse Cee back to health.